Taking Yoga and Pilates Off the Mat and onto the Power Plate! At Lotus Mind & Body, located in Bernardsville, NJ, we're all about "fitness" as it relates to a balanced body and state of being. In fact, we think the new healthy is really more about feeling happy (certainly more than it is about your dress size). But when we discovered it was possible to combine yoga and Pilates with state-of-the art technology, to get amazing anti-aging and health benefits FAST, we were all in! The technology, sometimes referred to as Whole Body Vibration, is created using a machine called the Power Plate. Positive neuromuscular responses are created in your body as you exercise on this "unstable" vibrating platform. The vibration also increases gravitational force ("G-Forces") on the body, which is why just a 30-minute workout, 2-3X per week is super effective at building strength, increasing flexibility, improving balance and decreasing belly fat (primary indicators of longevity and health). And based on independent, published research studies, the Power Plate also stimulates the body's own production of bone mineral (to combat osteroporosis), human growth hormone (the "fountain of youth" hormone which decreases after age 40), along with a myriad of other responses that help slow down the aging process. Here's Why Power Plate is Sweeping Europe (...and Why We Chose it for Lotus). Empowering Your Pilates and Yoga Practice. Good Vibes...A Truly Healthy Addiction! Training on the Power Plate is easy on the joints and helps rehab muscles and connective tissue. And because it decreases stress hormones (like cortisol, which is linked to weight gain), and actually increases "happy" hormones (like oxytocin), you'll begin to crave your 30-minute workout! The Power Plate is the Real Deal. Not all vibration is created equal (for instance, a violin can be pleasing or down right annoying!). It's critical that the plate vibrates on all three planes (how the human body moves) and adjusts to the correct frequency and amplitude for all components of a complete workout: stretching, strengthening and massage. That's why we selected the Power Plate for Lotus Mind & Body, and why you'll feel amazing after each workout. Schedule a Test Drive and See for Yourself. 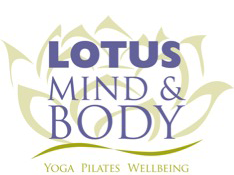 Try an introductory session at Lotus Mind & Body. A private, 30-minute workout includes 5 minutes of stretching, 15 minutes strengthening and balance exercises, followed by 10 minutes relaxation and "massAHHHge"! For more information, or to schedule your Test Drive, contact the studio at 908.766.YOGA (9642). With the summer in full gear, the buzz in our Bernardsville, NJ Pilates and yoga studio is all about travel and "get aways." But while it's great to reconnect with our families and have some much-needed R&R, our Pilates practice can sometimes suffer and fall by the way side during vacation time. We all know that dreaded feeling when we come back to our mats and can barely make it through The Hundred ("...ugh, was that only 100...it felt like 1,000...)! The first exercise in most classical Pilates classes, The Hundred will get your heart rate going with intense breathwork to increase circulation throughout the body for a healthy glow to your skin. It also fires up the deep stabilizing muscles of your torso for a strong and flatter tummy, while toning your upper arms. Designed to increase flexibility in the spine as well as strengthen abdominal muscles, this essential core fitness exercise will help you stand up taller to give you a long, lean Pilates body! This exercise is part of the infamous "Pilates Ab 5" and is sure to whittle away your waist as it focuses on strengthening and toning the Oblique muscles. Be sure to work slowly and with proper form, focusing on the rotation of the mid-spine. Lying on your back, bring your legs to "tabletop." Place your hands behind the nape of your neck and lift your head, neck and shoulders (look at your navel). Deepening your abdominals, lift your chest higher toward your knees and then rotate to the right as you bend in your right leg in and extend your left leg on a high diagonal. Hold to the right for 3 counts, trying to get your right elbow to the back of your mat. Come back to center with both knees bent and try to curl higher toward your thighs. Now twist to the left, bending your left knee in further and extending your right leg to a 45 degree angle and reaching your left elbow to the back of your mat. Again, hold for 3 counts and then come back to center. Repeat right/left sequence 8 times without lowering your head, neck and shoulders between reps.
A familiar yoga posture, this exercise strengthens and tones the buttocks, hips and thighs making it an ideal bathing suit shape up! An ultimate full-body workout, this exercise combines core stabilization with upper body challenge to quickly tone biceps, triceps, shoulders and back muscles. Be sure to finish each session standing tall, with your shoulder blades on your back and crown of the head lifted. Take a deep inhale as you reach your arms overhead, and then exhale as you lower them back to your sides. Fill yourself with a sense of accomplishment, as well as gratitude for your health and wellbeing. Then head out and enjoy your vacation!